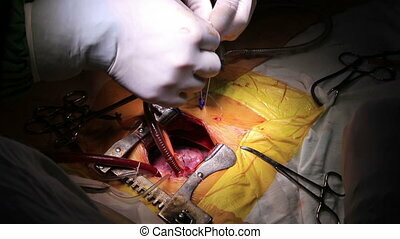 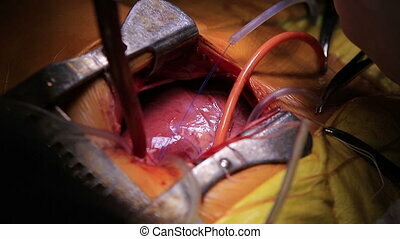 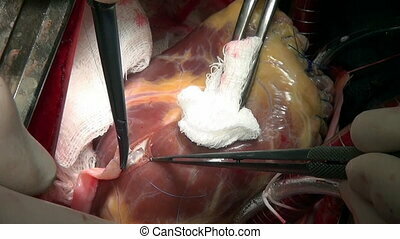 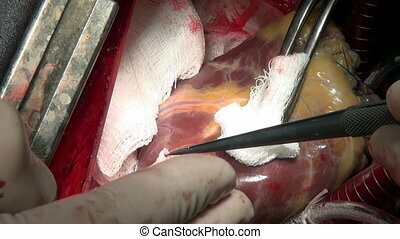 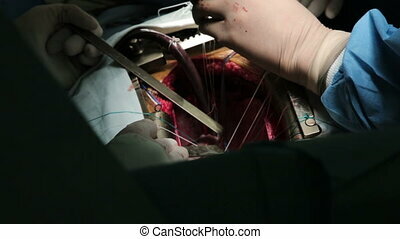 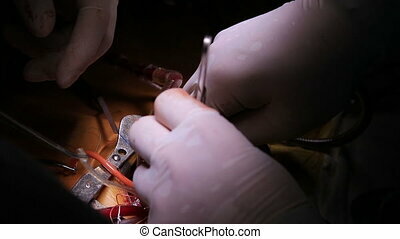 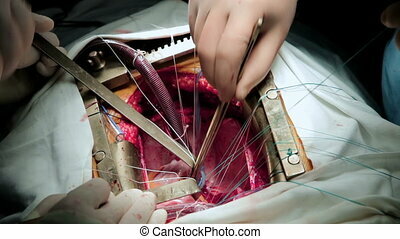 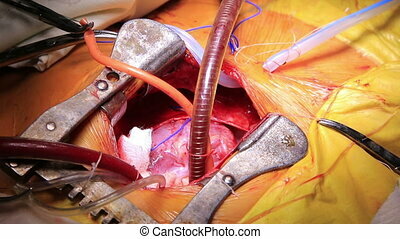 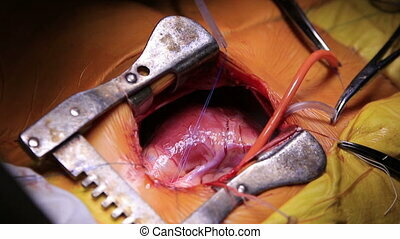 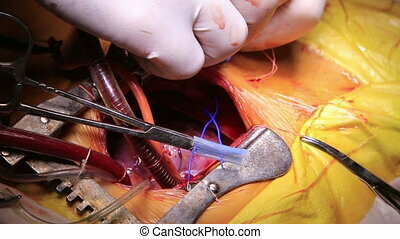 Shot of open heart surgery. 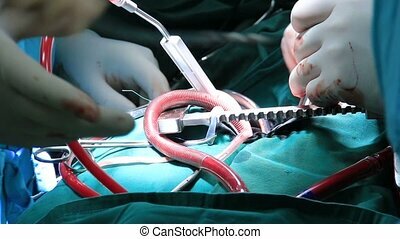 Team of surgeons in uniform performing operation on a patient at cardiac surgery clinic using medical instruments and tools. 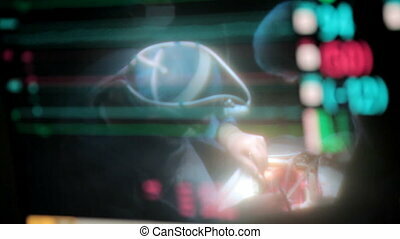 Medical team operating open heart cardiac bypass surgery in operation room. 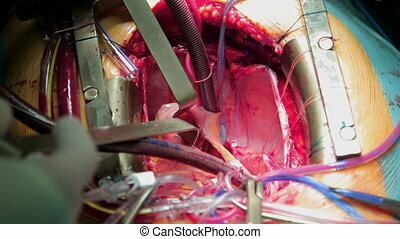 Heart surgery in clinic. 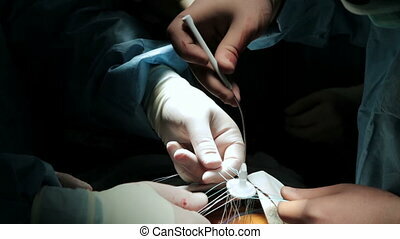 Process of struggle for life of patient. 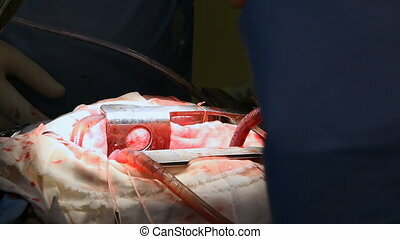 Unique macro video in hospital.